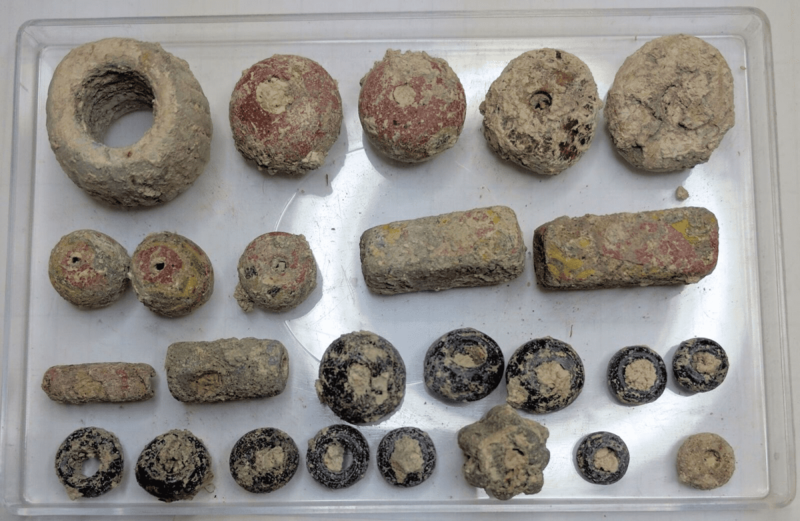 Rare Anglo-Saxon artefacts, once worn and treasured by nobles between 501 and 600 AD, have been unearthed during the excavation of a housing site in Cambridge, earmarked for 60 new homes. Providing a fascinating insight into the lifestyle and clothing of the ancient Anglo-Saxon era, the findings include precious jewellery such as fine brooches, multi-coloured glass and amber beads, rings and hairpins dating back to the sixth century AD, as well as remnants of an original village-style settlement. The Ango-Saxon village has been uncovered in Cherry Hinton by Oxford Archaeology East on behalf of archaeology specialists, CgMs and Weston Homes, the housebuilder who has bought the land which is just four miles south-east of Cambridge city centre. 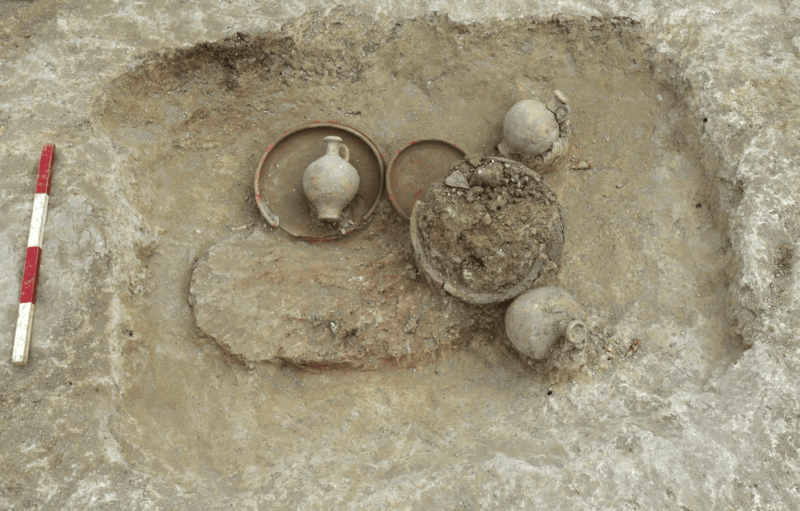 More utilitarian tools are also among the findings, such as small knives and weaponry including iron shield bosses and spear heads. Some items were re-purposed, such as a Hippogriff decoration (half horse, half eagle), transformed from a shield into a piece of jewellery. 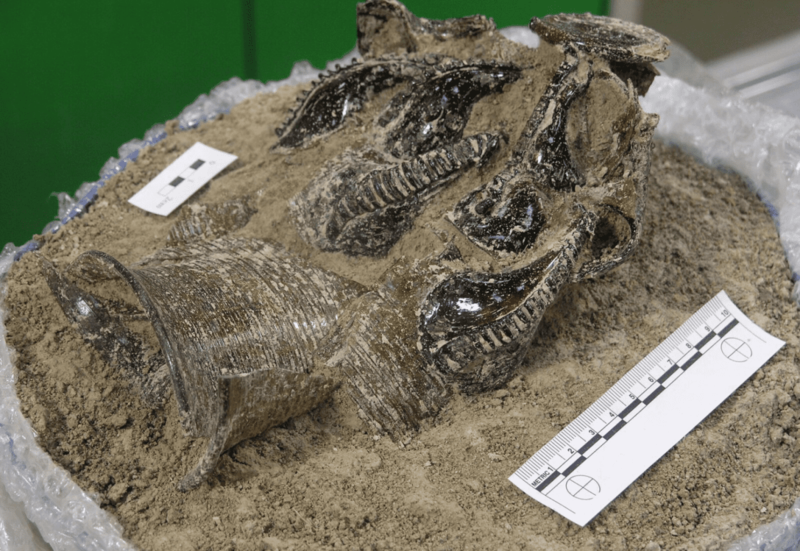 Complete pottery vessels were also found, including a stunning rare glass beaker known as a claw beaker due to the claw-like decorations around the stem. These elaborate drinking vessels are normally found further south-east such as Kent, northern France, the Netherlands and Germany, where they were probably produced. Although crushed over the centuries by the weight of soil the vessel is complete and could be reconstructed. The excavation even turned up some Roman treasures, pre-dating the Anglo-Saxon era, including plates and a complex of Late Iron Age and Roman ditches defining a field system and an early Roman Pottery Kiln. “Evidence of the time period 5th to 7th century AD is almost non-existent so this gives us a highly important window into understanding how people lived in that era, their trade activities and behaviours. The academic value of this collection is therefore immeasurable,” said Duncan Hawkins, Head of Archaeology and Build Heritage for CgMs. “The site fell out of use in the 7th century but we discovered evidence of 8th century Middle Saxon activity including post-built structures, possibly workshops and livestock pens. Pits dug in this attest to local industrial activity and further processing of soil samples should help us understand what these were used for,” he explained. The site lies is on the western edge of the Middle Saxon settlement around Church End, and which formed the 9th to 10th century manor. By 1086 it had become known as Hintona in Domesday Book. What was a Saxon village will be transformed 1,500 years later into a modern-day settlement. When Weston Homes applied for planning permission for the site test trenches were dug as a matter of course and the area identified as one which required further investigation. The site has now been cleared and the findings recorded and the artefacts will be housed in local museums.